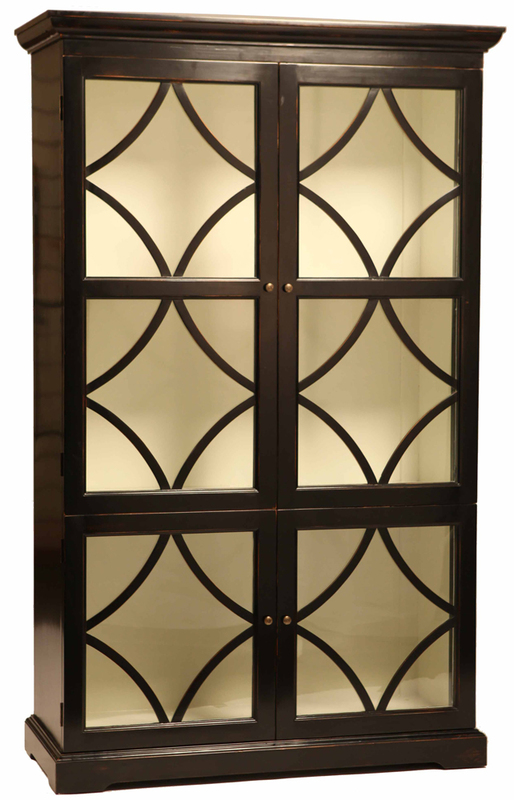 ALLEGRA CABINET - Body built in solid hardwood, Black paint finish on exterior and off-white interior, One removable shelf in top section. 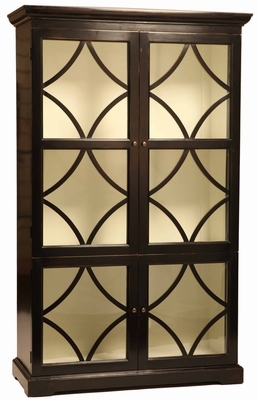 Glass panel in doors. L 48" x Depth 21" x H 81"